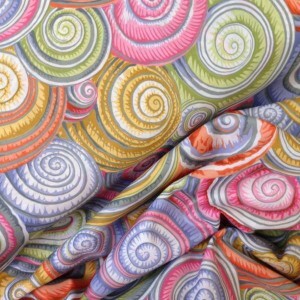 100% cotton –this is quality, craft weight fabric – this is a really pretty combination of colour and pattern – lets describe this motif as either ammonites or spiral shells? Whichever they are -they’re pretty as a picture! 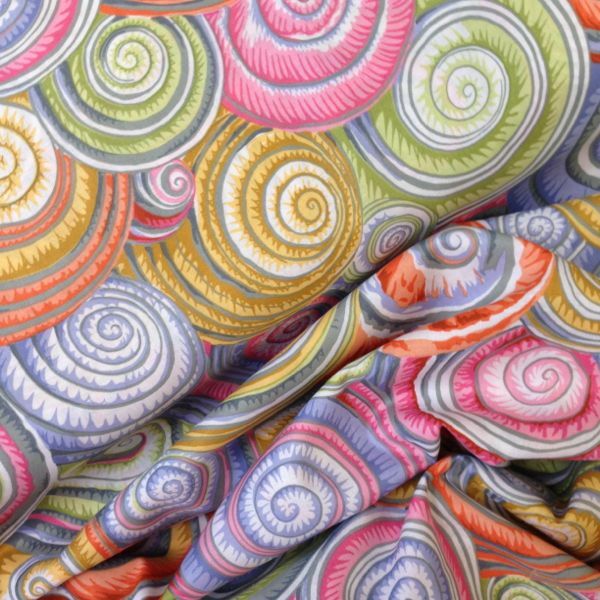 This cotton fabric will give extra depth and interest to simple shapes-with a print like this you won’t need too many design lines eh? If you like it-don’t delay, when it’s gone it’s gone- we’ll buy something else even more exciting!